You may soon have to hang-up the phone if you're driving. 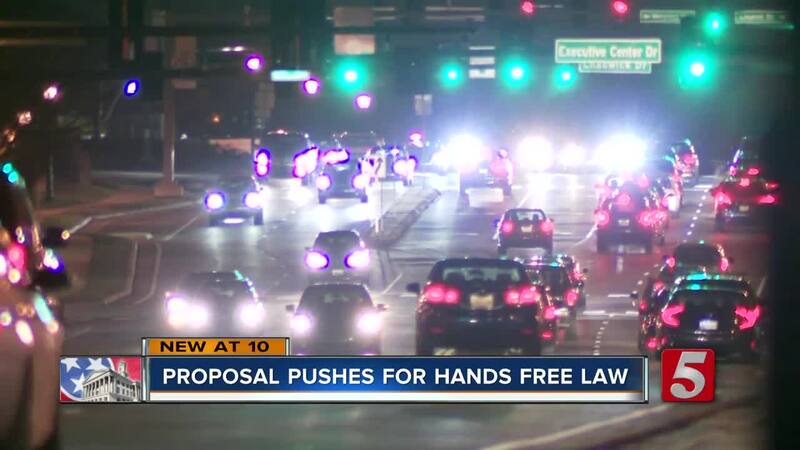 A bill proposed in legislature would ban all hand-held devices on Tennessee roads. NASHVILLE, Tenn. (WTVF) — You may soon have to hang-up the phone if you're driving. A bill proposed in legislature would ban all hand-held devices on Tennessee roads. State Representative Patsy Hazelwood introduced the measure, house bill 44 on Monday. It would strengthen the laws that are already on the books. To one family the proposal hits them on a personal level. Doug and Pat Ralls loss their son nine years ago. He was in a car accident, the driver that him was using her phone. “Brian, I'll be thinking about you today,” Those were the last words Pat Ralls said to her 23-year-old son. Brian was heading to work in the morning but unfortunately, he never made it there. “I Walked out the front door and there were two state troopers in front of our house, and they approached me and said, are you Brian Ralls' mother,” said Pat Ralls. A 19-year-old driver crossed the median into oncoming traffic on I-40 hitting Brian head on killing him instantly. “I said what on earth would have caused that and they said she said she was distracted by her cell phone,” said Pat Ralls. For years, Pat and Doug Ralls have been working to put an end to distracted driving; they would share their story to anyone willing to listen even talking to lawmakers. “I happen to believe that a legislator's job is to help save lives, that's certainly part of it and this is a simple and effective way to do it,” said Doug Ralls. A proposal in the General Assembly is looking to extend a current law that bans cell phone use in school zones. The bill would ban hand held devices on all Tennessee roads. “Our state has not made a law that restricts use of cell phone while driving, well they think if the state doesn't think it's that bad of thing I'm not going to think it's that bad either,’ said Doug Ralls. The latest data from the Department of Safety and Homeland Security shows statewide more than 18- thousand crashes in 2018 were related to cell phone usage. “Honoring Brian is a big part of it, but honestly our primary motivation in talking to people about this issue is we don't want anyone else to have to be in our shoes,” Doug Ralls said. The Ralls family said they want to see stricter cell phone laws, but in the end, they said it should be up to drivers to make a smart decision. “The awareness is definitely there; if you talk to everyone on the street they understand that driving while using a cell phone is dangerous, but they still do it,” said Doug Ralls. So far, 16 states are hands free including Georgia. If the bill becomes law in a person is caught violating it, they could face a misdemeanor charge and a $50 fine.